Are you thinking about starting a garden this spring? New gardeners often face challenges they aren't prepared for. Spring is approaching and the gardening bug bites many people who have never picked up a spade. More often than not, new gardeners choose plants and techniques that are beyond their capabilities. This results in failures and heartache and the budding gardener gives up and decides they aren't cut out for this activity. With a little careful planning and plant choices, anyone can have a successful garden. The biggest problem new gardeners face is trying to do too much. It is much better to begin your gardening journey on a smaller scale that you are capable of managing. 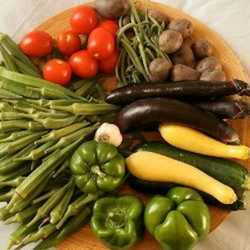 Decide whether you want to grow decorative plants or edibles and only choose plants that are easy care. As your skills improve, you can add more challenges. Containers or in ground gardens? The first thing a new gardener must decide is if they are going to have an in-ground garden or a container garden. If planting in the ground, prepare the soil long before it is time to plant anything. Choose a spot where there is at least 8 hours of full sun and where any rainwater drains away, rather than stands. Remove the grass and turn the soil over about a foot deep. Work in a layer of compost and add topsoil if the spot seems too low. It is better to have your garden bed raised a few inches above the surrounding area. Excess rainwater will drain away and I've also found that it is easier to keep weeds at bay. Don't get too enthusiastic about the size of this new garden. Smaller is better for first-time gardeners. An area 10 feet square is as big as I would recommend and smaller than that is even better. You'll be surprised at the variety that can grow in such a small space. If choosing a container garden, be sure that the containers are deep enough for the plants you want. One of the biggest mistakes a new gardener makes is selecting containers that are too small. Yes, tiny transplants look forlorn and lonely at first, but take into consideration the ultimate mature size of the plant. You want to give the roots plenty of room to grow and small containers require frequent watering. I have raised planters at my back door that grow a surprising amount of flowers and herbs. They stand waist-high and are easy to work with. The western-red cedar resists rot and they are deep enough for a huge variety of plants. If you have mobility problems and bending over is an issue, you might consider this type of option. If choosing edibles, select easy care vegetables and make sure you give them enough space when planting them in the ground. Again, tiny transplants look silly at first, but that 6 inch tomato plant will grow into a monster by the season's end. In a 10 foot square space, a new gardener can plant 4 to 6 tomato plants, 6 pepper plants, a couple of eggplants, 3 or 4 bush squash plants and maybe a melon or two. 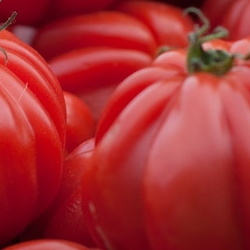 When choosing tomatoes, remember that there are two different types; determinate and indeterminate. Determinate tomato plants are usually shorter plants and they produce their fruits so that they all ripen within a week or two. Gardeners usually choose them if their summers are short. Indeterminate tomatoes continue to grow all season, with many plants topping out over 6 foot tall. There are fewer tomatoes ripening all at once, however they produce all season long. Give indeterminate tomatoes strong support and big tomato cages. The normal tomato cages that big box stores sell are nowhere tall enough. I like to grow my tomatoes on fence panels. They are 5 feet tall and it is easy to bind up wayward branches. Tomatoes also benefit from a good mulch. I lay down several layers of newspaper and spread straw over that. This keeps moisture in the soil and also keeps the foliage off the ground. Peppers need to be planted a couple feet apart. There is an old saying that pepper plants like to 'hold hands' and I've found that they do better when planted close together like that. Just remember that if you are planting both hot and sweet peppers to place them at opposite ends of the garden. If cross pollinated, the seeds of your sweet peppers can be hot. Peppers, eggplants and tomatoes are all 'cousins' in the Solanaceae family, however it is impossible for them to cross pollinate with each other, so all you have to worry about are hot and sweet peppers. Peppers do not usually require any additional support. Treat eggplants as you would peppers, however space them about 3 feet apart and give them a bit of support. Small tomato cages work well for eggplants. Tomatoes, peppers and eggplants are also happy in containers. Make sure that you give your tomatoes and eggplants at least a 5 gallon container. Peppers do well in half that size. If you want a decorative garden in the ground, decide whether you want annuals or perennials. Annuals mature, set seed and die all in one season. Perennials may die back to the ground each winter, however they sprout again in the spring. 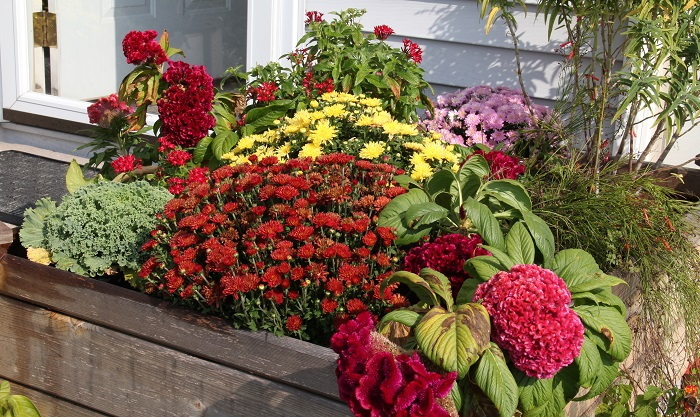 Good choices for annuals in a 10 foot square area are marigolds, zinnias, celosia, cosmos, petunias and sunflowers. Most of these plants have a number of choices in color and size. Plant the tallest ones to the back of the bed and the shorter, trailing plants to the front. Again, as with the vegetables these small transplants will look lonely at first and you'll be tempted to plant them closer together, just remember that the mature plant will be much taller than these babies. Annual plants also benefit from pinching back the growing tips a few times during the season. 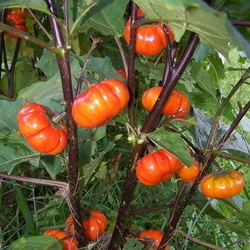 If you pinch the new growth out of each stem, the plant produces side shoots and instead of a tall, slender plant, you have a shorter, bushier one. This may set your bloom time back by a couple of weeks, but your garden will look much more professional if you do this. Deadheading is also something that annuals benefit from. As soon as the flowers fade, clip them or pinch them. If you remove the faded flowers, it tricks the plant into producing more flowers. An annual plant thinks it is done when it sets seed, so preventing it from reaching that point prompts it to continue blooming. Perennial plants come back from their roots each spring and easy choices for sunny areas are salvias, daylilies, asters, iris, daisies and ornamental grasses. Unlike annuals that bloom all season, perennials have a specific few weeks window of bloom time, so the best way to grow perennials is to choose plants that have different bloom times, or mix annuals and perennials in the same bed to have something blooming at all times. Iris bloom in the spring. Daylilies usually bloom in early summer and daisies bloom in summer. Salvias generally bloom in mid summer, asters in late summer and autumn. All of these like full sun and well-drained soil. Most perennials do best in the ground and the new gardener should probably avoid containers for perennials until they have mastered a few gardening skills. No matter what plants and methods a new gardener chooses, they should start small. Master the skills needed to maintain a small garden and a larger one shouldn't be overwhelming. Keep a few containers or a small in-ground garden the first season. Smaller is better. Seek wisdom from experienced gardeners. Our discussion forums here at DG have many experienced gardeners who can help. Learn how to contact your County Extension Service. Each county in the U.S. has an office maintained by their state agricultural college and it is a wealth of information on the specific gardening needs of your area. They can assist with soil tests, advise you on pest and disease treatments and suggest specific plants that are proven successful where you live. 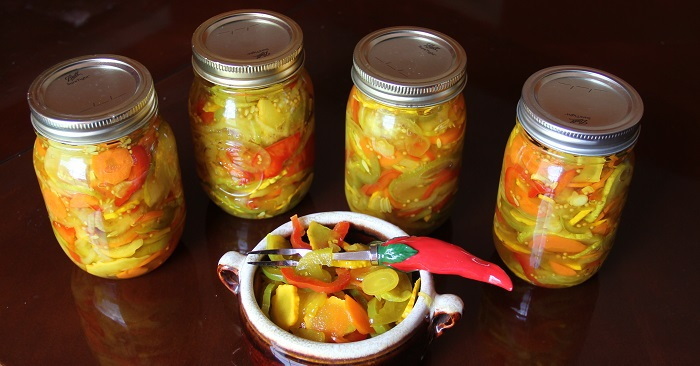 They also have classes and information on preserving the harvest by canning and freezing and assist new gardeners in the safest methods for putting by produce. Most of all, don't overdo it. A new gardener has no business with an acre vegetable garden. Keep records of what was successful, a flop and the weather during the season. Your notes will help you next year. Learn how a garden grows and progresses through a season before tackling a large project.